It's the end of the year, and that means it's time to reflect on the good and the bad. I will probably be simultaneously posting my personal reflection on the year on my Japan blog. So here is baseball. Get six flagship sets that I need. I went above and beyond this goal. I've nearly finished the Upper Deck set run, I got a couple Topps flagship sets marked off the list, and I found a few well-priced auctions in the spring that made this goal easier than I expected. Find at least five of the ten figurines I need for my player collections. I need 16 figures now thanks to additions to the list; I count only one figure purchase this year. Get down to 400 needed cards for my Awards collection. Done. I haven't updated the 2015 winners yet, but I currently sit at 379. And that's with three new collections on the want list. This goal was partially met by creating custom cards. I haven't printed any out, but I made cards for players with no cards or unattainable cards. That's 187 custom cards made over the course of a few days. Keep my MLB Type Collection over 25%. I started at 25.5% at the beginning of the year. There are still a few sets to add to my database, but those are super-new issues. I'm at 25.51% now though! I'm surprised I was able to maintain the collection, especially given the low number of 2015 cards I have and the addition of some other formerly-forgotten sets to the list. Reduce my wanted sets list to 175. The year started with 229 sets on the list. I'm at 174 now. I barely made that cut. I pushed hard around Black Friday to knock down or knock off several sets using COMC and Sportlots. Reach 60% of Japanese cards by the end of the year. From 54%, I've increased to over 63%. I need to rework the 2014 and 2015 lists to include several missing autograph, memorabilia, and parallel sets, though. I need to do a lot of research to make that happen, so I'm going to try to be more proactive about it with 2016 sets. Reach 50% of sets in the Japanese type collection other than BBM and Calbee. 52.5%, so done. There were several releases this year that helped, along with some modern card singles that I've found at card shows and shops. I really want to work on the vintage side, but I didn't go to any flea markets this year. Create and hopefully complete a collection for players who went from the NPB to the MLB. I created the collection, and I have most of the MLB cards for that collection. I just haven't taken the time to search for NPB cards, so that side sits at about 25% complete. Not bad, only one missed collecting goal with another partially completed. I put forth a lot of effort with organization. My want/inventory lists have almost all been reworked and last weekend I reorganized all my loose cards here in Japan. And while I didn't blog about it much and it wasn't in my collecting goals, I added Buck Farmer and Charlie Hough supercollections to my list. 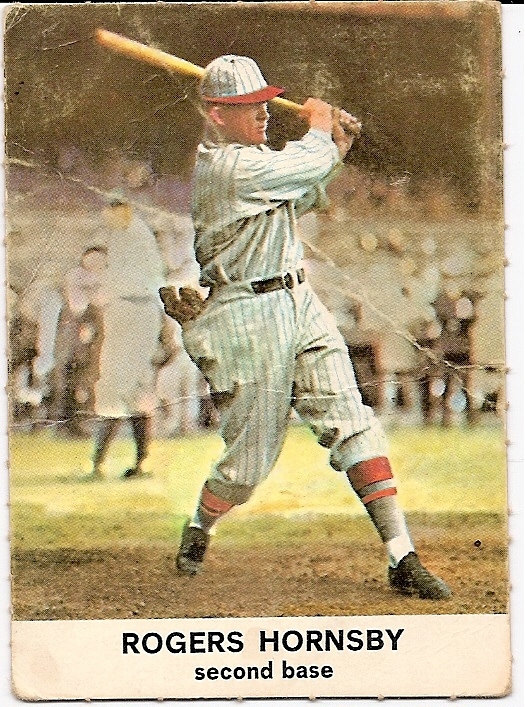 Closely following Buck's auctions on eBay has put me at 84.81% of his known cards (some 1/1s and /5s missing due to price or unavailability), and as for Hough, I'm at 64.57%. The missing cards there are mostly old team issues or recent autographs. As a whole, I'm happy with my collection's progress this year. Finally finish those Calbee Through the Years posts. I want to publish my Japanese set database. Continue posting new release details on all of the 2015 baseball sets. Fully update my Japanese card shop posts and publish a map and list. Make weekly "Idol of the Week" posts. I didn't meet a single blogging goal this year. Some stuff I worked on a bit, but as a whole I'm disappointed in my blogging performance this year. Hopefully I'll have more motivation in 2016. Earlier this year, I came across a couple auctions for loose packs from the 1970s. They're baseball cards, though they aren't Calbee. Actually, they're quite large - a bit smaller than A4 paper size. And thicker than normal cardboard. This is the box; my box wasn't full but had several packs waiting inside. The text on the top says "Pro Baseball DX Card" while the bold text below the baseball diamond talks about there being a deluxe album. The smaller text contains copyrights for the 11 teams found inside (Giants, Whales, Swallows, Carp, Tigers, Dragons, Orions, Hawks, Lions, Buffaloes, and Fighters). One pack, with one card, was 50 yen (not cheap in the 1970s), with 20 per box. For those of you with Engel's guide, this is JY 1a. At first I thought it was JY 3, but a quick look at the Lions logo shows that it's 1a. JY 1a card packs have Taiheiyo Lions logos, while on the JY 3 packs, the logo is Crown Lighter Lions. Additionally, there are the 11 copyright lines on the box, where the JY 3 box has 12 team copyrights. Here's the inside. The packs are aqua blue with team logos on the front, and a sample card glued to the inside of the box lid. This is the "Fighters vs. Buffaloes" action card, and looks pretty cool given printing quality of the time. Based on my guide, the best card is the one that includes Dave Johnson; Sadaharu Oh does not make an appearance in the set. Cards are blank backed. Each box apparently came with two albums. I've shown the front and back of the one I got in my box. Additionally, there was a premium folder with two commemorative postcards for Oh's 700th home run and Harimoto's 2500th hit. But there was no premium in my box. Some of the cards in the packs could be "winner" versions which would award lucky fans with an album or the postcards. There are 10 packs in my box. I don't know what to do with them right now. I don't have a type card for my collection yet. And the approximately 33% chance of pulling the best card in the set is pretty enticing. But I could probably find a type card if I looked in the right places. What do you think? This is a promotional sheet from Topps for the 2009 World Baseball Classic box set. I have the set itself already. I believe the sheet was given out at WBC games here in Japan. The eight player cards are distributed two per Asian team. I like the promo card at the bottom with multiple languages, even if it is just an ad for Topps.com. I'm curious if other sheets were given out at other stadiums. Disney Infinity is a video game. That's about all I know. At least in America, it seems that there are some figurines and such that are used to import characters into the game, but in Japan, all I've seen are these cards. One card came packaged with a chocolate wafer snack similar to Bandai's wafer cards for Evangelion and other franchises. I don't know how or even if they interact with the game here in Japan. The horizontal cards just have images on the front, with a standard back (see the first image in this post). Is that Elsa playing Mario Kart? What?! The first part of the set feature individual characters. Backs have write-ups in Japanese. The character's movie title is above the character's name. Real-life movie characters in digital form. Hmm. He doesn't look like the guy in the movie! Oh well. These cards were sold from late 2014 into 2015. A couple months ago, I picked up a bunch of souvenirs through Yahoo Auctions, including some things from the women's professional baseball league (JWBL). First, this signed ball from the second Japan Cup. It's the "World Series" of Japanese women's baseball, and includes teams from outside the JWBL too. There are two signatures on the ball, though I don't know whose they are. Next, a game ball from the JWBL itself. This one is unsigned; I got it at a game I attended earlier this year. This is a standard hand fan. They're given out all summer as advertisements; I've even seen condos advertised on fans. This one features several members of the Kyoto Flora team; the back highlights some of the summer series from 2015. I'm pretty happy now with my collection of JWBL items, though I would like a GPBL ball (yes, they exist) and all those cards I don't have yet from 2010-2014. I know that in 2013 and 2015, a company called AIAIO issued cards for the JWBL, the women's professional baseball league in Japan. I'm pretty sure they issued cards in 2012 and 2014 as well, but I don't have any examples. Getting the cards isn't easy; I was able to buy a full set this year but prior years' cards seem to only have been available by trading with the players after games. 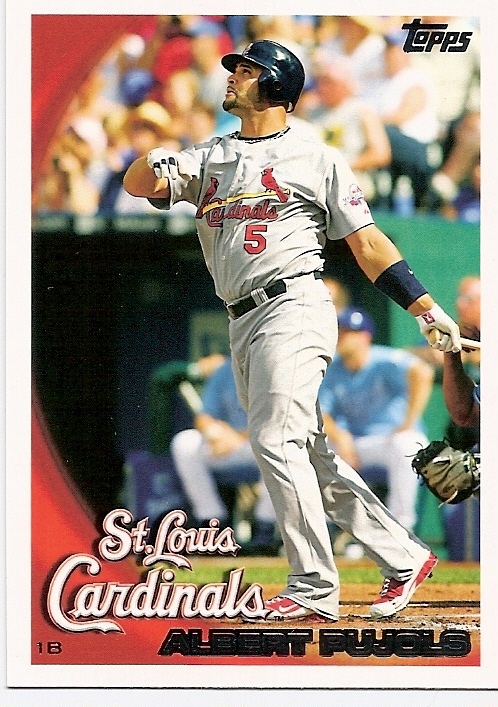 I found an auction lot of 2010-2011 cards and was very happily surprised when I saw exactly what I had won. You see, Yahoo! Auctions photos are very low-quality, and sellers can sometimes have virtually no information in the listings, so there's a bit of guesswork at times. Especially with the language barrier. In 2010 and 2011, BBM issued cards for the GPBL (it would be renamed JWBL in 2013). There were only two teams, so to make the set bigger each player seems to have at least two cards. First, 2011. Because that's how they're set up. Regular cards for the Hyogo Swing Smileys come first. There are foil cards toward the back of the set. There's a roster card, too. This 2011 facsimile signature card has an "H" prefix, I'm guessing for Hyogo. Moving into 2010, this foil facsimile signature card has an "HS" prefix. While this regular Kyoto card has a "K" prefix. And this Kyoto card has KS prefix. I don't have a full checklist or really any idea about the subsets/inserts. I did find that cards were given away or sold at games, and packs were sold for 200 yen each. I would really like to build a full set of these, but I've never seen them in card stores, even in the Osaka area. For that matter, I also want the 2012-2014 sets too... oh well. Merry Christmas! Mayu your day be full of genki and moe! Don't know what those words mean? Look 'em up.